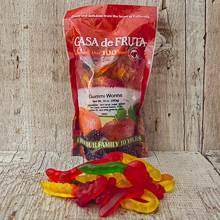 Fruity flavored chewy gummi worms to fill up your tummy. Packaged in a 10 oz. bag.